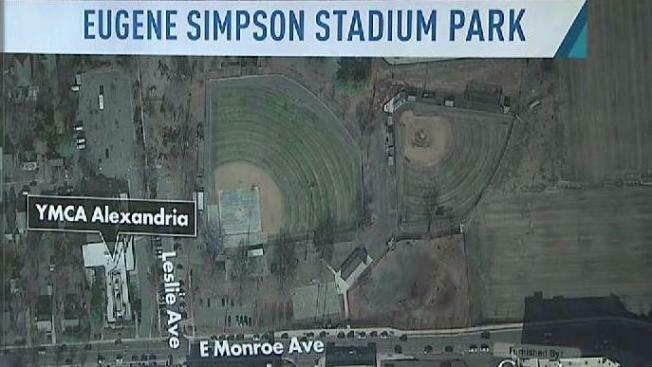 "I was bleeding pretty badly but I was really just trying to keep my head down"
Chris Lawrence offers a closer look at how the shooting at the congressional Republicans' baseball practice in Alexandria unfolded. The congressional staffer wounded in the shooting at a congressional baseball practice Wednesday morning near Washington, D.C., is out of the hospital and recounting his harrowing experience. Zack Barth appeared on the "Today" show with his boss, Rep. Roger Williams, R-Texas, Thursday morning after being discharged from the hospital. He was shot in the calf by gunman James Hodgkinson, but managed to scramble to a dugout, where he hid with Williams and other members of Congress. "I was pinned down in right field," Barth said. "I was running for my life, got into the dugout. I was bleeding pretty badly but I was really just trying to keep my head down, keep everybody's heads down, and prevent anything from happening." The members of Congress sheltering in the dugout helped a tourniquet onto Barth's leg, then stayed in the dugout for cover. "We were just trying to stay alive," added Barth, who said he's doing okay. Three other people were shot, as well as the gunman, who later died, but things would have been worse if the gunman had figured out how to get past the fence surrounding the field in Alexandria, Virginia, Williams said. "If he had gotten on the field, we had nowhere to go," Williams said. He dove head-first into the dugout when the gunfire broke out, having just been hitting ground balls to House Majority Whip Steven Scalise, who remains in critical condition a day after the shooting. Hodgkinson died from injuries sustained in a firefight with police. Barth and Williams both credited the Capitol Police officers who were at the field with Scalise for saving their lives. One was shot herself. "The thin blue line worked. These two officers were fabulous," Williams said. There were as many as 22 members of Congress at the field for the practice, with the annual Congressional Baseball Game set to be played at Nationals Park at 7 p.m. Thursday, despite the shooting. "It's the right thing to do and it's the right time to play this game," Williams said. "When America gets punched, America punches back and we'll do that tonight." Before that, business in the House resumes Thursday, after the leaders of each party gave impassioned statements urging unity after an attack that remains under investigation but appeared politically motivated. Barth said he's been experiencing that unity. "The people around here, on both sides of the aisle– we've got a great community up on Capitol Hill, and everyone is lifting me up," he said.